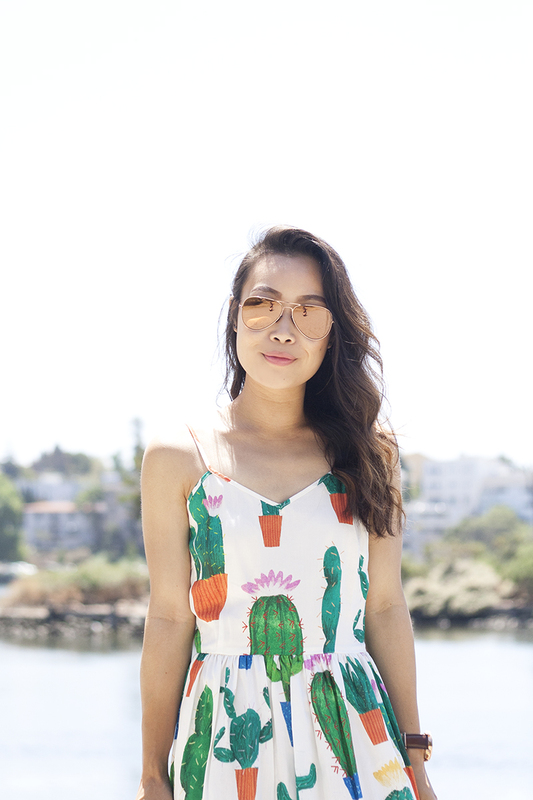 I have had this dress for awhile (a couple of years actually) but I just realize I never blogged about it! 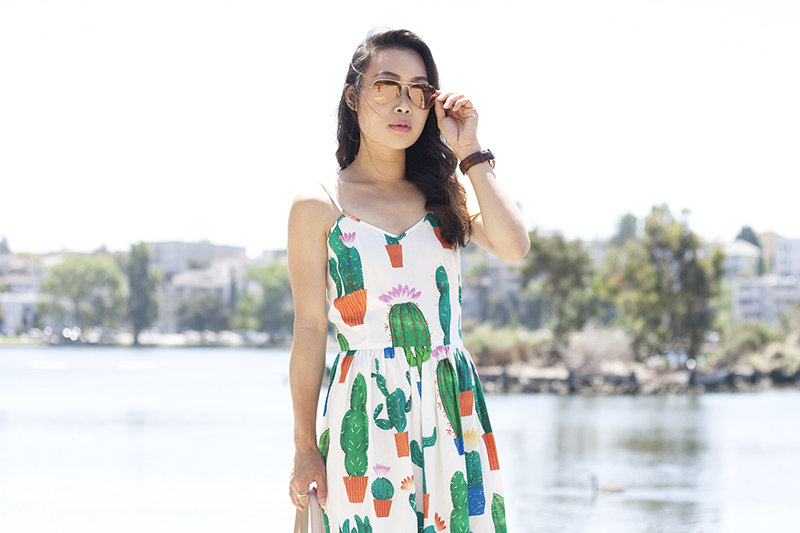 I mean, cactus makes perfect, especially on a hot summer day! 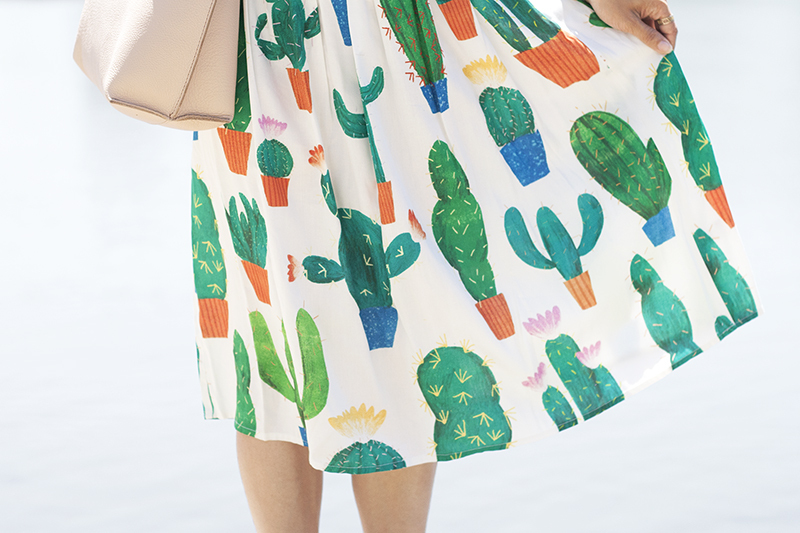 It's like wearing a work of art because the print is by Bett Norris from Print All Over Me. I paired it with a blush monogrammed leather tote from Mark & Graham, cute laced up espadrilles, and rose gold aviators. Also, I am loving my new watch from Fossil. 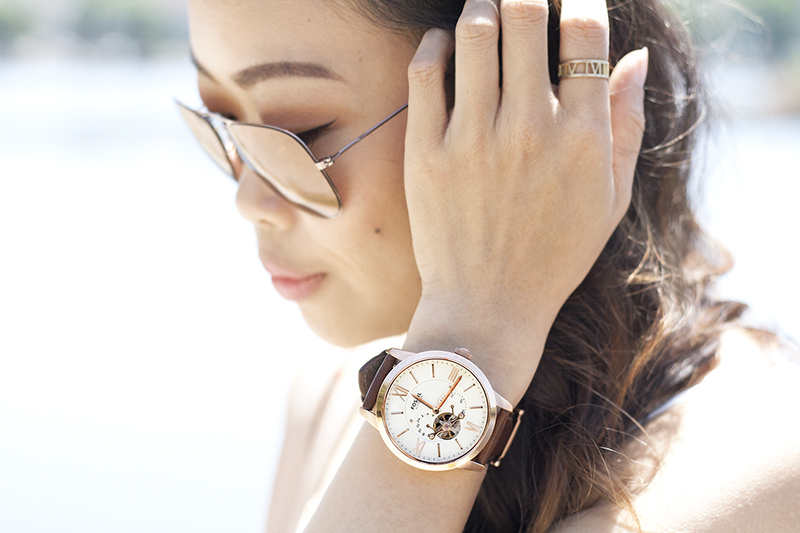 The big rose gold watch face gives just the right amount of drama to the wrist! 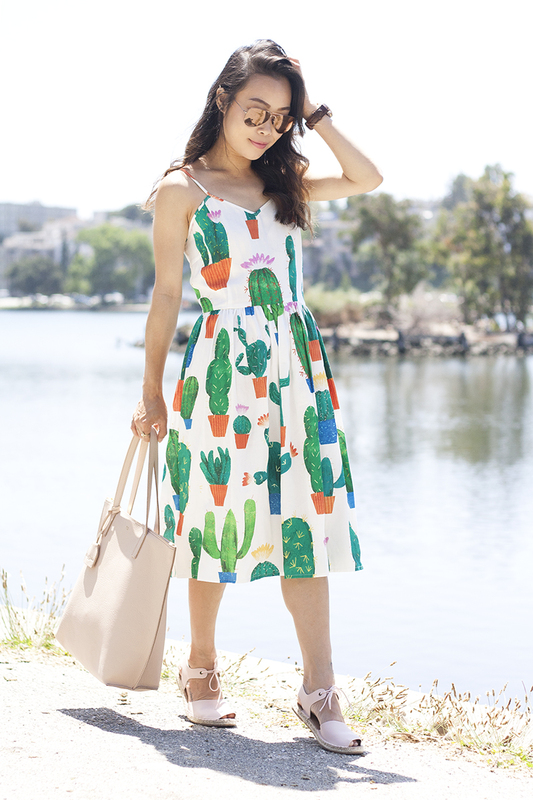 Cactus print dress (sold out but more dresses here) c/o Print All Over Me. 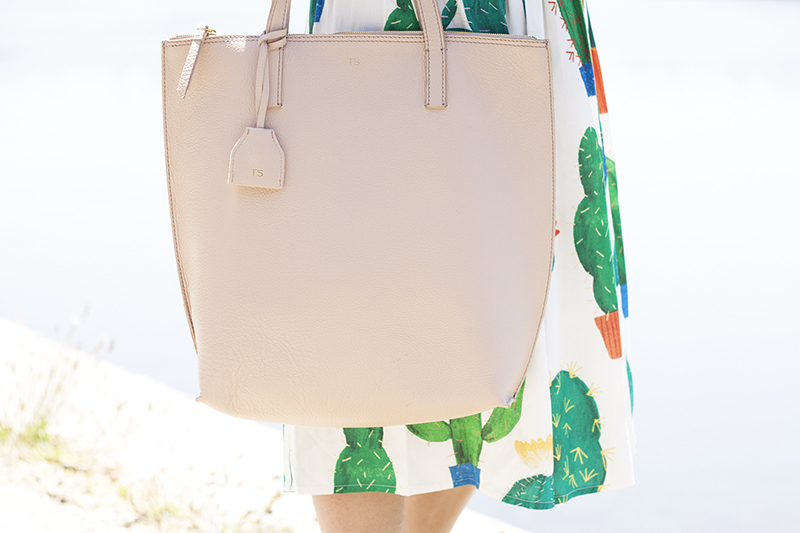 Mongrammed leather tote c/o Mark & Graham. 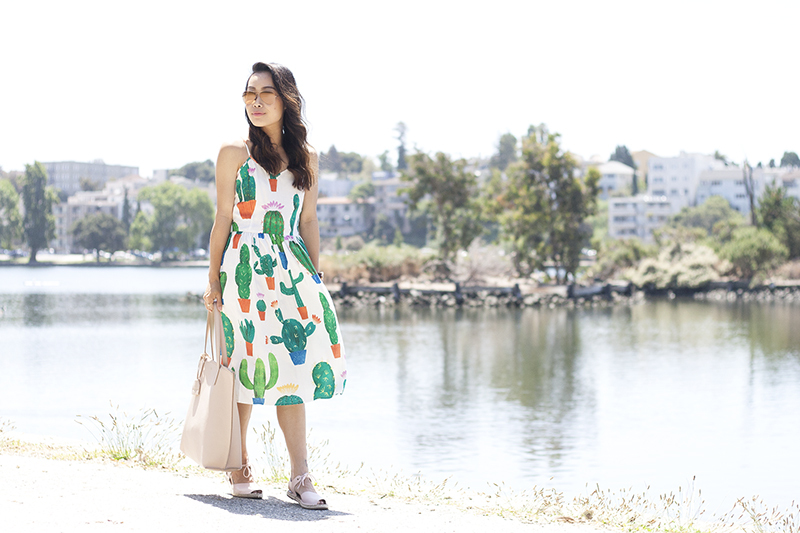 Laced up espadrilles from Old Navy. Townsman automatic leather watch c/o Fossil.